﻿Through carving, Alex seeks to preserve cultural traditions that he can trace back through time. By observing the pieces from Ozette, as well as other classic West Coast carvings, he discerns "prevalent form-lines," which characterize the Makah tradition. He works hard at understanding the essence of his heritage, and sees his own work as a preservation and interpretation of this older style. Throughout his work, Alex strives to incorporate flowing, bold-line designs that he feels are so characteristic of classic West Coast artwork. 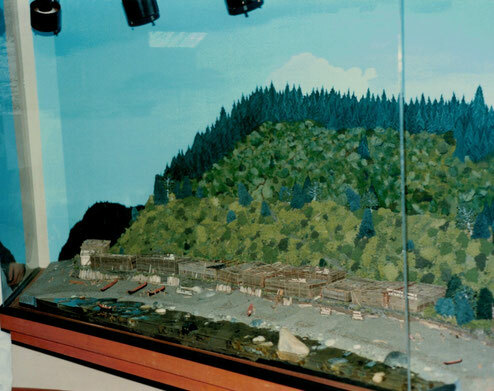 Alex's interest in Makah carving traditions and culture was triggered when he was asked to work on a diorama of the Ozette Village for the Makah Museum. Alex had a chance to look deeply into the past. He visited the landforms at the site, and studied the collection of artifacts housed at the museum. It was Alex's job to understand everything he could about everyday life at the village, and this helped to create his passion for history. Alex's prints are a combination of contemporary and traditional work. 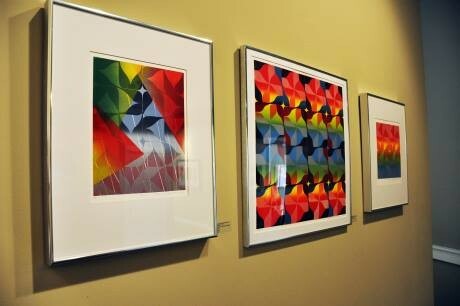 Alex began printmaking when he was earning his bachelors degree at The Evergreen State College. He had the opportunity to work closely under the guidance of world renown master printmaker Joe Feddersen. Alex is intrigued by the process of making prints. Though making prints is not a traditional art form, Alex incorporates traditional Makah designs in his pieces.